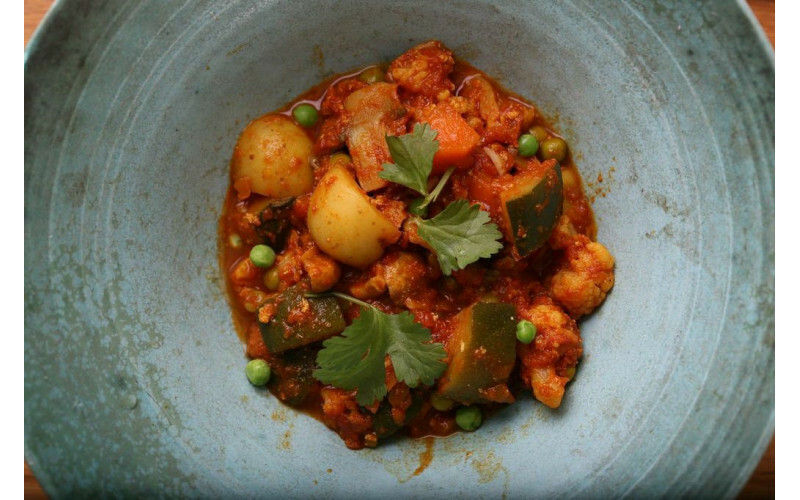 A delicious, complex vegetable curry which is cooked in India to bring good luck. It is a simple dish to prepare although the sauce takes some time to cook to really bring out the rich, spicy flavours. The sauce freezes well so why not make a double quantity and freeze half? 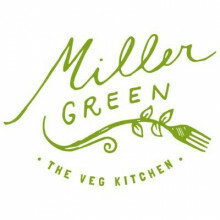 Miller Green is a Bristol-based supper delivery service which brings together classical and international flavours and techniques to create beautifully balanced vegetable based dishes. Whilst their food is totally vegan, they design dishes with complexity, texture and flavour to appeal to everyone. Pour the vegetable oil into a large, heavy based saucepan and heat up. Add the grated onion and cook until it is pale gold in colour. This can take up to half an hour. Add the garlic and ginger and cook for a few minutes more and then add the spices. Cook everything together for one minute. Add the chopped tomatoes and cook for about 30 minutes until the oil separates slightly. Add the non-dairy milk, bring to the boil and simmer for about 10 minutes, stirring constantly until the sauce thickens. While the sauce is cooking, cut the cauliflower into small florets and the potatoes, carrots, mushrooms and courgettes into slices. Toast the cashews carefully in a dry, heavy bottomed pan. When the sauce is ready, add the potatoes and cook them for 10 minutes before adding the carrot and cauliflower and cooking for a further 10 minutes. Finally add the courgettes, mushrooms and cashews and cook for another 5 minutes. Stir through the soya cream and cook for a further couple of minutes. Serve with rice and vegan yogurt or a cucumber and mint raita.